These started out as a recipe for waffles. They didn’t cook well on the waffle iron, though; fresh fruit usually doesn’t. 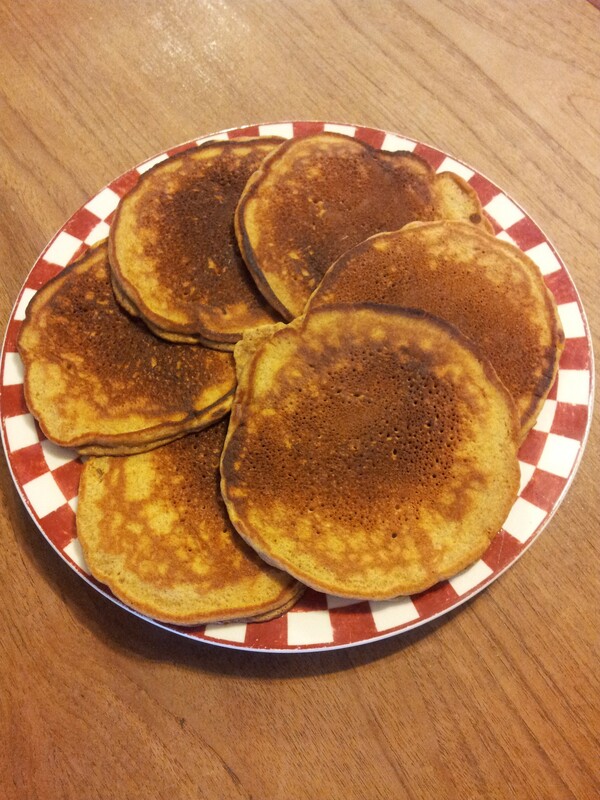 So we cooked them as pancakes, and they came out fantastic! Mix wet ingredients and beat well. Add dry ingredients and mix until combined. Add apples last and stir well. Cook by 1/4 cups on hot buttered griddle. Serve with warm maple syrup.